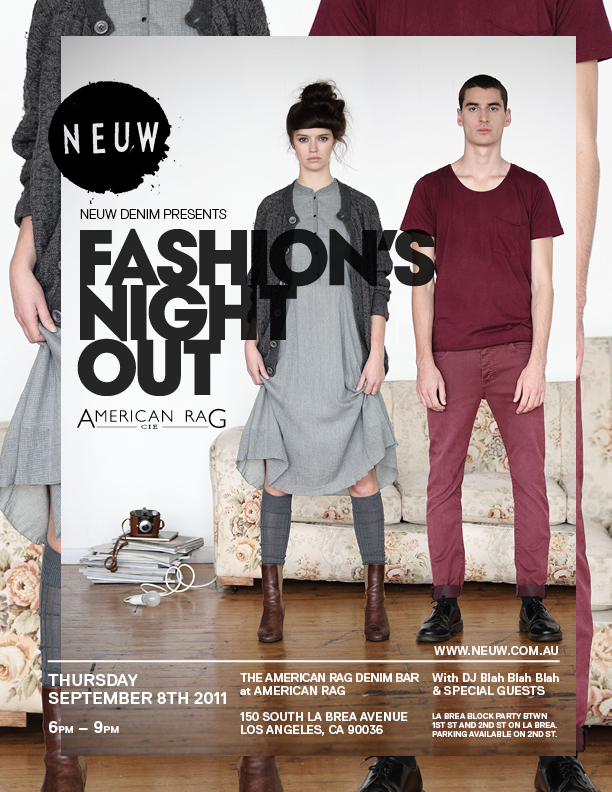 Please join NEUW denim, Thursday, September 8th 2011, at the American Rag Denim Bar at American Rag, to celebrate one of fashion’s most influential nights; Fashion’s Night Out. What: Celebrities, designers, and stars mingle and shop, visiting events at promient retail locations from NYC to Los Angeles, and every city between. Join, Austraila’s most up and coming brand, NEUW Denim, & celebrate Fashion’s Night Out at American Rag.